Stanford has a history with robotic cars, dating all the way back to the 2005 Grand Challenge in the Nevada desert. Since then, Google has emerged as one of the most powerful players in this space, but driverless cars still have a long way to go before they’re ready for mass adoption. Until then, Stanford’s work with autonomous racecars could see the prime time first, given its potential for the resulting technology to be used in today’s vehicles — only activated during dangerous driving conditions. 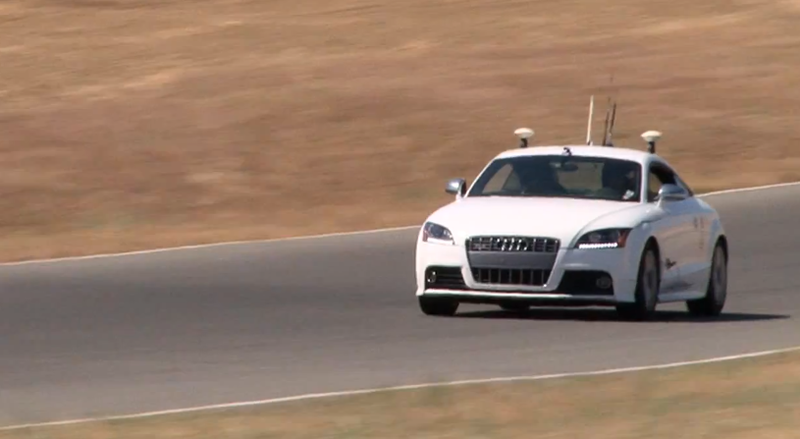 Check out the video below to see Stanford’s self-driving Audi TTS, Shelley, which hit 120 mph on a recent track test. In the above test, speed limits were removed and the car was pushed to its limits. Don’t you wish you could put your car in reckless driver mode without risking a single collision? The experience and data gathered by running Shelley around the track could one day lead to fully autonomous cars that safely drive you and your loved ones from Point A to Point B on public roads. In the nearer term, the technology could show up as a sort of onboard co-pilot that helps the driver steer out of a dangerous situation.